Trainer, educator, motivational speaker and entertainer with over 35 years experience, Nancy helps improve performance, build success and leaves your audience energized and excited about their future. While in the process of a divorce with no child support, alimony or other source of income and only $2,000 to her name, Nancy moved herself and her children 70 miles and started her own business. Nancy knew nothing about running a business, saving, investing or financial planning and set out to build her own asset management and financial planning business. After building the business to $200 million in assets under management, Nancy sold her practice in January 2007 and shortly after opened “Above All Else, Success in Life and Business®” to pass on her knowledge, training and personal experience to help others. As a national professional motivational speaker and award-winning author Nancy helps business owners do a better job for their clients and improve their bottom line and helps individuals live more successful, fulfilling lives and realize their dreams. 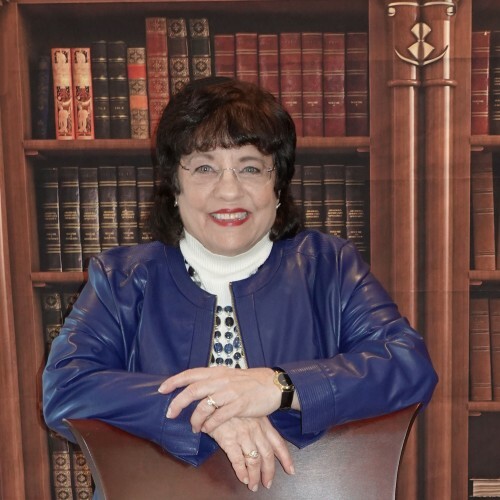 Nancy has motivated, inspired, educated and entertained individuals, businesses, seniors and students on a variety of topics for over 35 years. Her background, training and personal experience provide a wealth of insight and information as a backdrop for a very successful and upbeat presentation. Nancy has been quoted in Money magazine, Forbes, USA Today, AARP, The National Business Institute, The New England Real Estate Journal, The Financial Planning Association magazine, The Chicago Tribune, The Day and many more. She has been a speaker for major corporations such as Pfizer, General Dynamics and Dow Chemical. Nancy has been a guest on many radio and television shows and is the author of the book “Above All Else, Success in Life and Business” published in 2012 and “A Realtors Guide to Greater Success, Above and Beyond the Competition” published in 2014. Above All Else, Success in Life and Business A memoir that will inspire you through hardship, loss and success. Grow, learn, laugh, hurt, and rejoice as you journey through the author’s professional and personal life. A Realtors Guide to Greater Success, Above and Beyond the Competition Butler interviewed Realtors across the better learn their challenges for success. Her book provides easy-to-implement strategies that will take your business to the next level, while showing you how to find balance between work and personal life. 2013 National Beverly Hills Book Awards - Memoir - Finalist "Above All Else, Success in Life and Business"
1999 Dalbar Financial Professional Seal. The DALBAR Service Award symbolizes the achievement of the highest tier of service to customers within the financial services industry. It is awarded only to those firms that exceed industry norms in key service areas. The winners of this award can confidently consider themselves service leaders within the financial services industry. 2006 Hall of Fame Inductee – Ameriprise Financial Inc.
Find out more about Above All Else, Success In Life And Busi at http://www.aboveallelse.org.